The Coalition for Improving Maternity Services (CIMS) is a coalition of individuals and national organizations with a mutual concern for the care and well-being of mothers, babies, and families. Our members consist of the broader community of childbirth organizations, birth professionals, stakeholders, birth advocates and consumers. 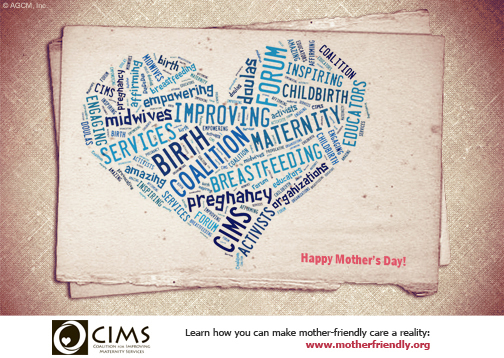 CIMS' mission is to work with the birth and breastfeeding community and our members by encouraging and promoting evidence-based, Mother-and-Baby-Friendly maternity care, as outlined in the Mother-Friendly Childbirth Initiative (MFCI), the first and only consensus document on U.S. maternity care. For more information on CIMS, go to www.motherfriendly.org.